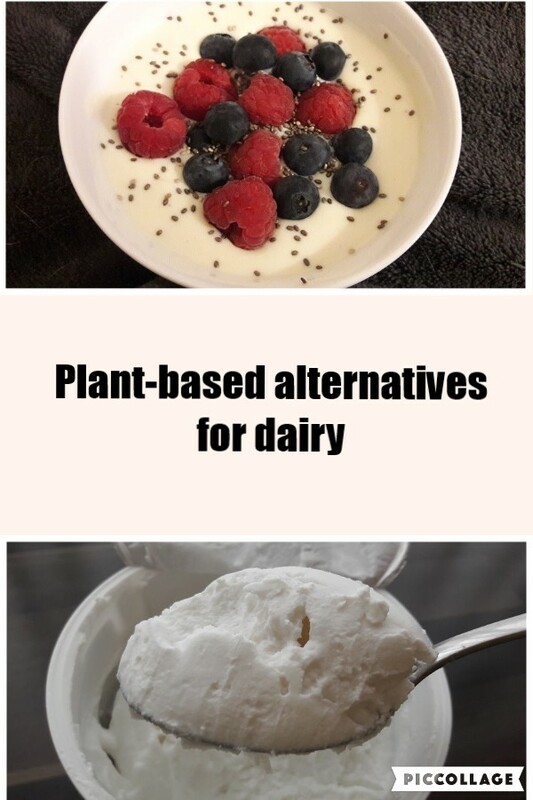 Plant-based alternatives for dairy have been around for a long time, but most had been based on soy. Lately, more and more other alternatives are hitting the stores. I’ve never been interested in these alternatives. Firstly, because I never needed to. I don’t have allergies nor intolerances. Secondly, I have tried soy milk a long, long time ago and I hated it. Maybe I simply didn’t like the unsweetened kind, but I hadn’t touched any soy-dairy ever since. Currently, there are a lot of different alternatives available and not just in health food stores. You can get more and more brands and a great variety of dairy alternatives at regular supermarkets. And those soy products from the past (more than 20 years ago) will most likely have evolved since then, for sure. And as I am of the curious type, I always want to know how something new tastes. As said before, there are a lot of new products available. Buying everything at once and giving it a try is impossible, of course. Though I do try to get something new every time I do the weekly groceries. This is a first small selection. For starters, I’ve chosen two types of milk. 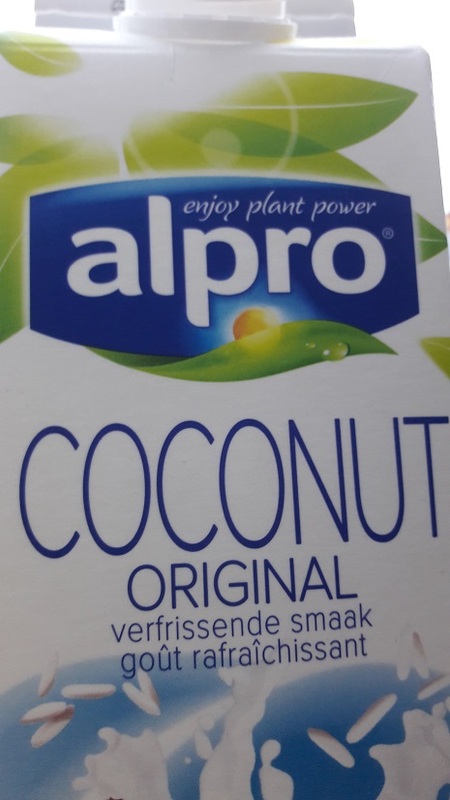 Well, one type actually, but two different brands: coconut milk from Alpro and private label Albert Heijn. What attracted me in both, was the low sugar content. I always check sugars when I’m buying products. With just barely 2g per 100ml, this milk is very low in natural sugar, even less than regular cow’s milk. Both have a light coconut flavour, not overpowering. Though maybe still too much for someone who doesn’t like the taste of coconut. Even though there is no added sugar, the milk does taste sweet. And I do like that. If I have to compare them, I do like the Alpro milk better. It has a somewhat creamier mouth feel and is just a tad tastier. But both brands are quite good. I do like to drink a glass of coconut milk nowadays. Also, I more and more swap regular milk for this coconut milk in baking. 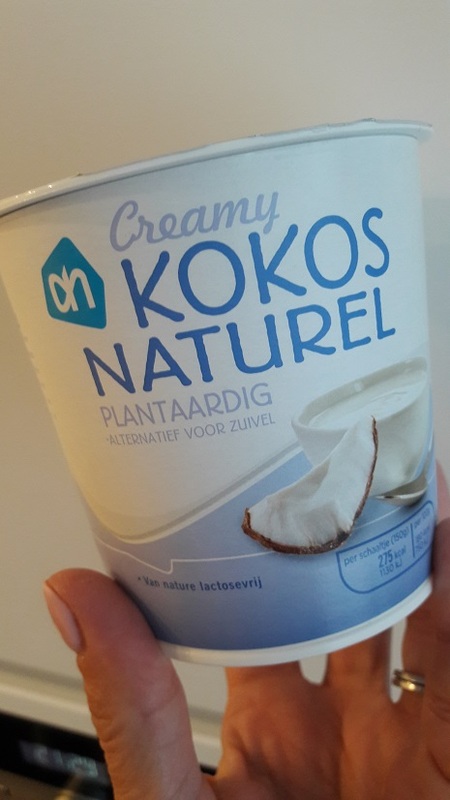 I recently found coconut yogurt pots at Albert Heijn. As I like their coconut milk, I wanted to give these a try as well. For me personally, it was a bit of a disappointment. It tasted too much of coconut. What? But you love coconut. Yes, I do. But somehow, this was just too much. 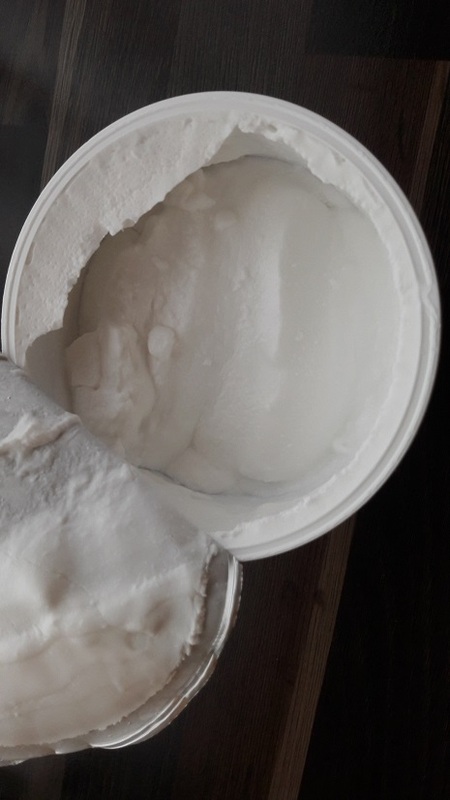 It reminded me more of the fatty part of a can of coconut milk. Taste and structure wise. That was not what I expected and I didn’t like it. 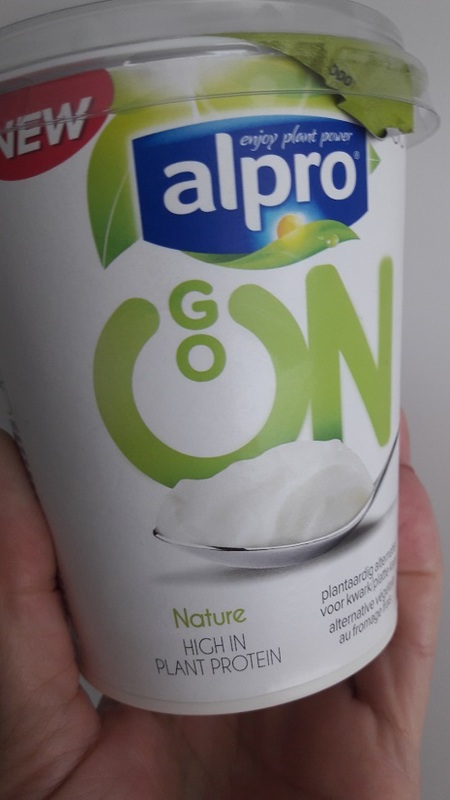 Several times, I had seen a commercial for Alpro Go On, that is supposed to be a perfect alternative for quark (soft curd cheese). And I was very curious whether Alpro really had managed to create an alternative for a cream cheese like product. Alas, they did not. This does not resemble quark or cheese at all. 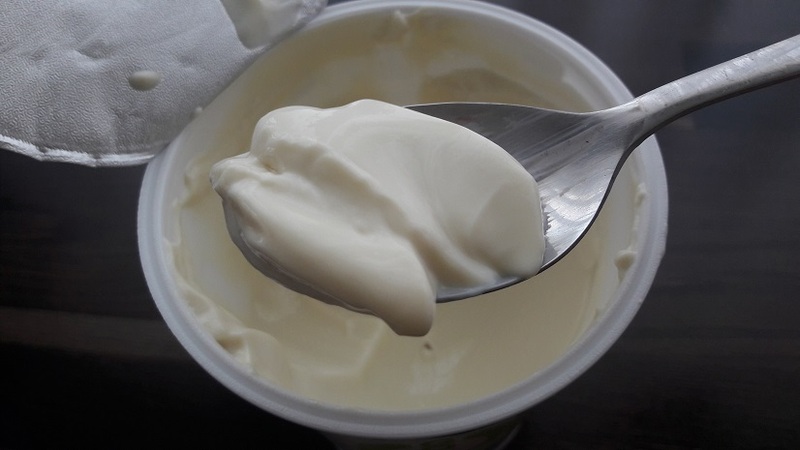 The mouth feel is more like a cross between yogurt and pudding. And the taste didn’t wow me neither. Not much taste, rather artificial. I ended up adding I don’t know how many things, but nothing worked. Not a success. At least not for me. The Alpro Mild & Creamy with oats on the other hand, was very good. 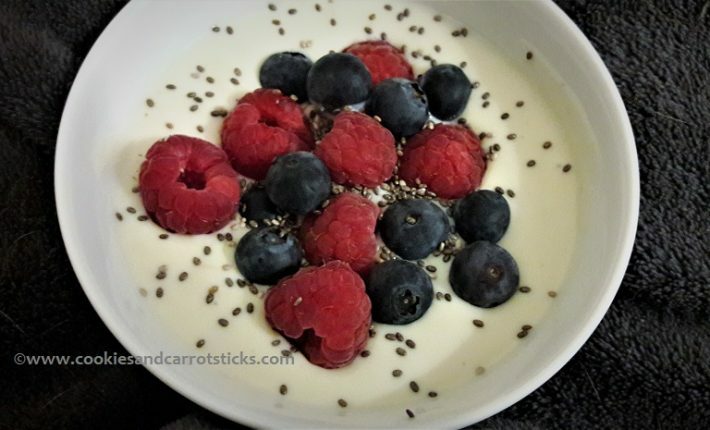 A nice and creamy yogurt-alternative, based on soy and oats, with extra oat flakes throughout the yogurt. I added a bit of fresh fruit and some chia seeds on top for a bit of crunch. This was very tasty. Now taste is something very personal. It is absolutely not my intention, at all, to get people to buy something or to discourage people. 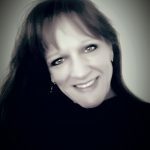 What I do hope to achieve, is get people interested. Interested to try new things. Who knows what you might discover. Sometimes you might be disappointed, but you might also discover something that blows your socks off. You’ll never know, until you try. And to be honest, I think we need to try to use more non-animal products. Not because of intolerances or allergies, not because of animal cruelty ( which doesn’t mean I don’t care, on the contrary), but because of the large scale we are currently consuming animal products (worldwide). The consumption is still increasing with the increasing population, which means that production is increasing even more. We can’t keep going on like that. We don’t have to write it off completely, and I don’t want that. But a healthy mix should be a reasonable (and feasible) goal. This is NOT a sponsored post. I get no compensation whatsoever. All opinions are my own. Ik wil het ook eens proberen. Dit is een goede reminder. Thanx, nu doe ik het echt eens! Jeetje, wat een boel alternatieven zijn er eigenlijk zeg! Dat wist ik niet. 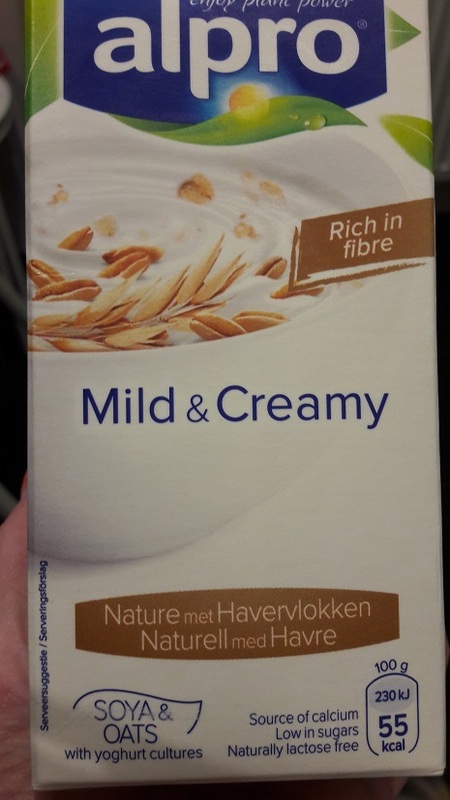 Ik gebruik zelf lactosevrije melk en yoghurt ivm een tolerantie en dat bevalt me goed. Laatst probeerde ik een proefverpakking amandel-rijstemelk en die vond ik ook erg smakelijk. Ik vind het een uitkomst, mijn buik blijft zoveel rustiger. Amandel-rijstmelk moet ik nog proberen. 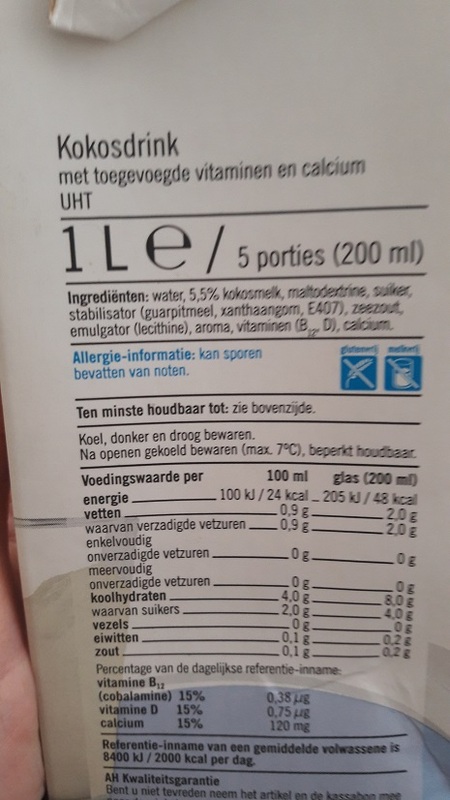 Heb je cashewmelk al eens geprobeerd? Dat is mijn nieuwe favoriet. Ik ben er geen fan van. 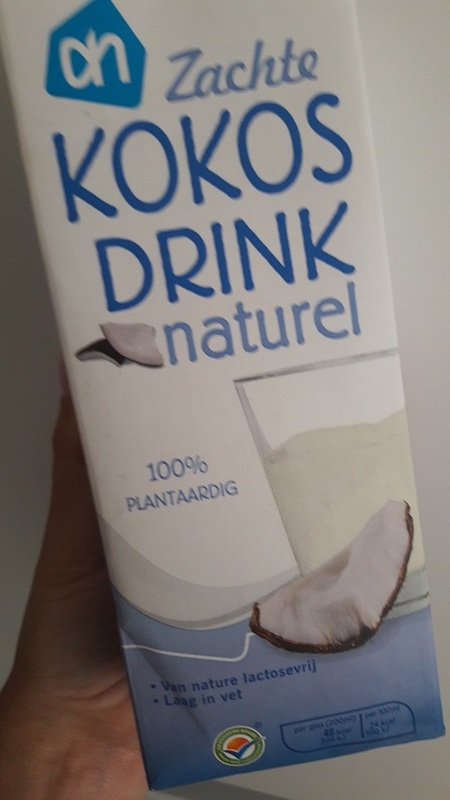 Heb het wel geprobeerd maar vind vooral de kokosdranken erg smerig. Beetje weeïg. Soya producten gaan nog wel trouwens. Grappig, bij mij juist andersom. 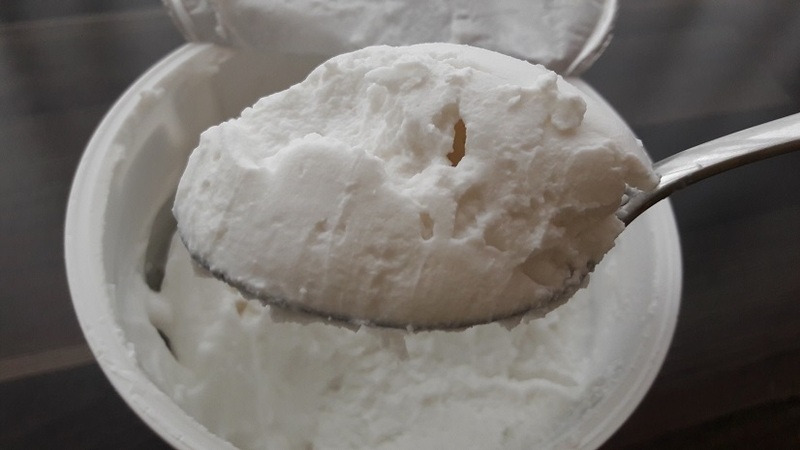 Ik vind de kokosmelk echt heerlijk (maar niet de kokosyoghurt), maar soyamelk vind ik juist niet zo lekker.